How Do Regulators Characterize Subprime Borrowers? By providing loans to borrowers who do not meet the credit standards for borrowers in the prime market, subprime lending can and does serve a critical role in the nation's economy. These borrowers may have blemishes in their credit record, insufficient credit history or non-traditional credit sources. Through the subprime market, they can buy a new home, improve their existing home, or refinance their mortgage to increase their cash on hand. "Unequal Burden: Income and Racial Disparities in Subprime Lending in America"
The term subprime generally refers to borrowers who do not qualify for prime interest rates because they exhibit one or more of the following characteristics: weakened credit histories typically characterized by payment delinquencies, previous charge-offs, judgments, or bankruptcies; low credit scores; high debt-burden ratios; or high loan-to-value ratios. Given the intense media coverage of the subprime mortgage market, it may come as a surprise to learn that the distinction between prime and subprime borrowers is not clear-cut. 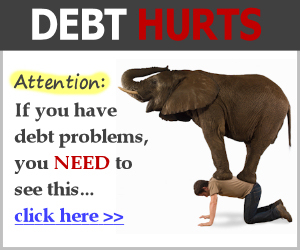 Economists at the Federal Reserve Bank at San Francisco define subprime as "a lender-given designation for borrowers with low credit scores (FICO scores less than 620, for example), with little credit history, or with other types of observable credit impairment. "1 But it is misleading to think that lenders rely solely on FICO scores for distinguishing between the two types of borrowers. Individuals can be considered prime borrowers with FICO scores below 620, and they can be considered subprime borrowers with scores above that cutoff. Note: FICO scores range from 300 to 850. Figure 3.2 What Goes into a FICO Score? borrower category on the basis of just their FICO scores may not be fully appreciated in the constant bombardment of news stories about problems in the mortgage market. Figure 3.2 illustrates the components that make up a FICO score. Although a score captures a great deal of useful information, it clearly omits certain factors that could be critical to lenders in making credit decisions—most notably salary and employment history. Lenders may also consider criteria such as the loan-to-value ratio (whether the borrower is able to contribute a significant down payment) and the income-to-debt ratio (whether the borrower can reasonably be expected to handle the required monthly loan payments given their income). 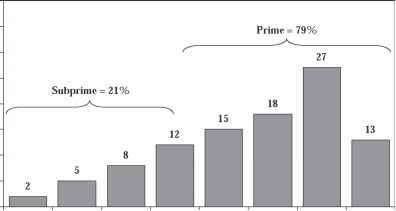 Figure 3.3 shows the distribution of prime and subprime borrowers by FICO score. It is interesting to note that prime borrowers may have FICO scores below 400, while subprime borrowers may score above 820.
distinction between prime and subprime lending becomes somewhat artificial. If the product itself, such as the adjustable-rate mortgage, was the problem in the subprime market, one might expect all borrowers using that product to be facing foreclosure. But this is not the case. Foreclosure rates are rising, but the rates differ widely by type of product and borrower. No single product accounts for all foreclosures, though certain loans (such as hybrid mortgages and pay-option ARMs, which will be addressed later) posed greater problems than other types of mortgage products. Rather than barring the use of a certain product by all borrowers, it is important to question whether individuals are being matched with the appropriate products for their financial circumstances. An adjustable-rate mortgage with a low initial teaser rate may be a wonderful tool for a medical student who expects her income to grow substantially in the near future, for example, but it may not be the best choice for borrowers who lack similar prospects—and it is definitely a poor choice for any borrower who does not fully understand how the payments may change over time. Mortgage products with perfectly legitimate uses should not be used in ways for which they were not designed. 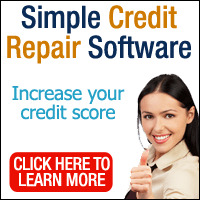 What fico score is considered prime? Are Fico scores the only risk scores? Is the suprime loan market affect the prime loan market?